The Oldest Recorded Town in Britain. For ease of navigation, this virtual tour is divided up into sections. You can start where you like but we suggest starting at and working through. We have based the A to D basic tour on the walking heritage tour route that the real town guides use. The difference being that this one is absolutely free, and you don't need to get out of your chair to enjoy it. Please click on any letter below to begin your tour. We also have this leaflet in Dutch. For a Dutch version, please click on the flag. We also have this leaflet in Italian. For an Italian version, please click on the flag. an excellent guide to this site. If you are planning a trip to Colchester and would like to do the real thing, Sdapeze will be pleased to take you around his town - absolutely free of charge! Please give him a bit of warning and, if free, he will be pleased to meet up with you. He cannot guide you around the inside of the castle as he is not allowed to! However, the Colchester Magical History Tour, the Colchester Roman Heritage Trail and the Colchester Town Walls Tour will each require stout shoes, suitable clothing and two hours of your time. 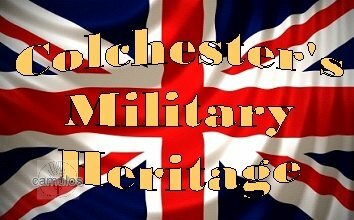 Also, search Facebook for Colchester Heritage Tours, for up to date information about unofficial tours. For a wider tour, you can always take the tour bus that operates from the Castle Gates during summer months - or you can pay to do the Official Town Guide Tour with qualified tour guides by application to the Visitor Information Centre, close by the Castle.